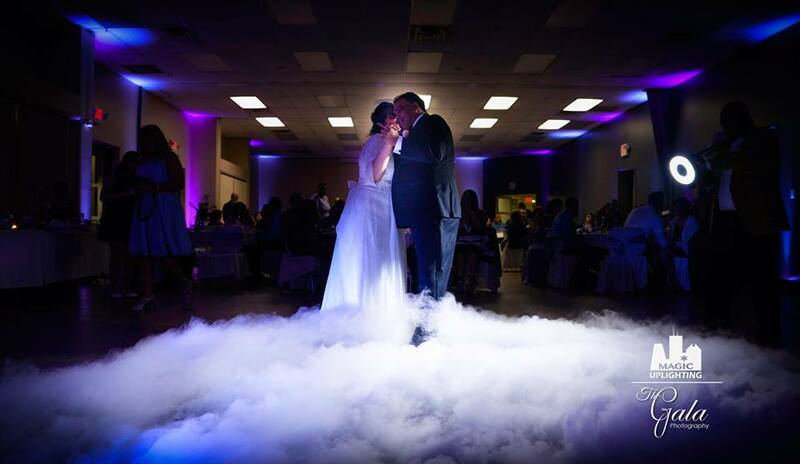 "Dancing on a cloud" adds that magical touch and makes for amazing first dance pictures. From the "Bride and Grooms" first dance or the "Quinceanera's" first dance. This effect will leave your guests simply amazed and stunned! 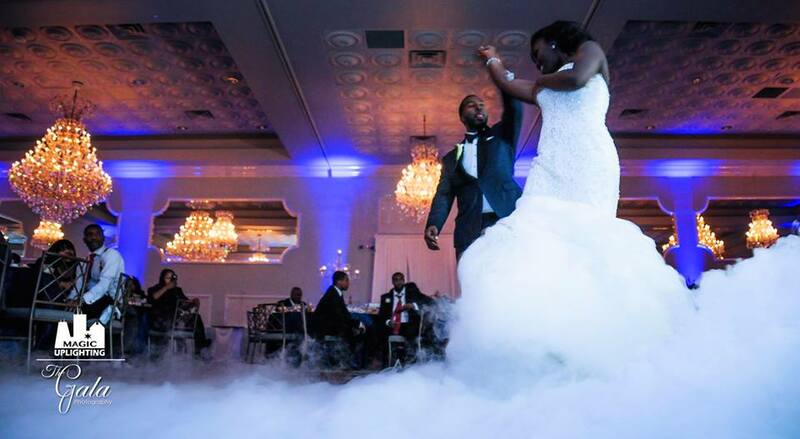 Imagine your pictures or video, the pure elegance this effect adds to your special moment! 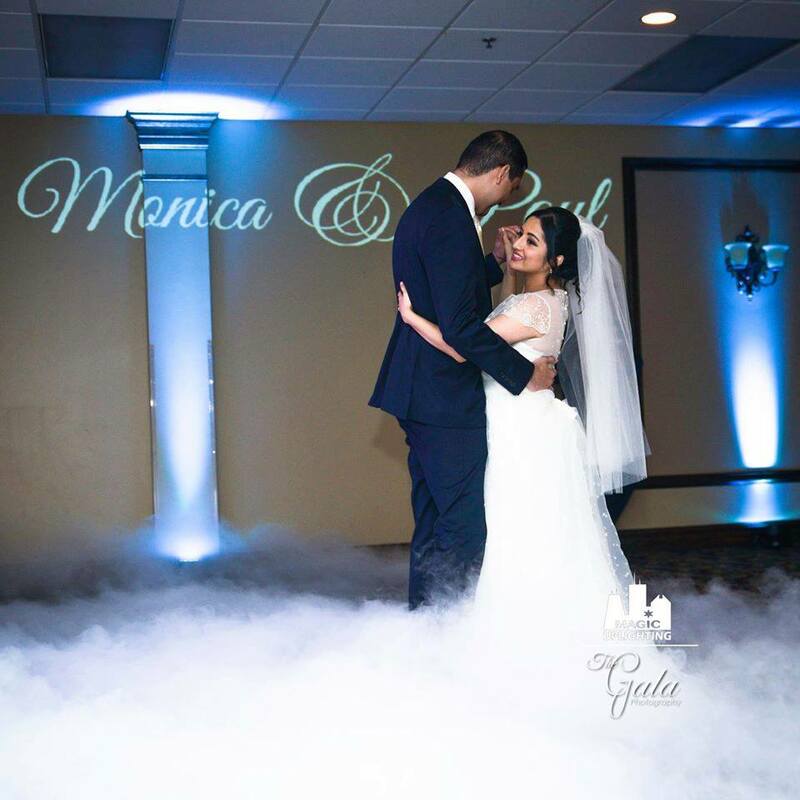 You will be amazed on how many pictures your guests will take of your first dance. 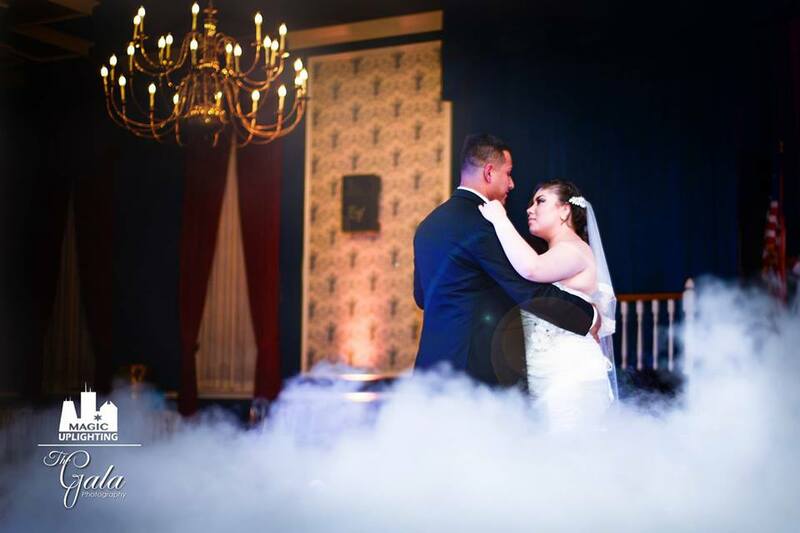 The cloud is produced with the use of heated water and dry Ice in a professional machine. We go above and beyond for your event and at a affordable price. Our machine will not effect any smoke detectors. This includes onsite tech to operate. 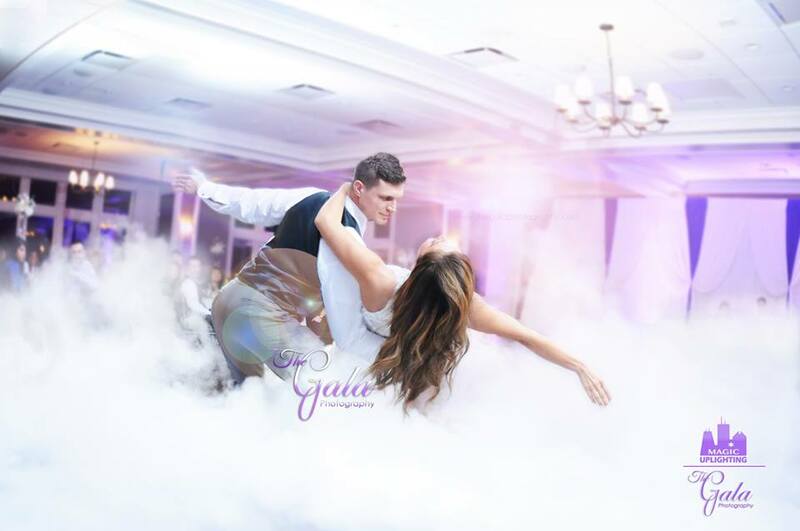 *Click on the video below to see the "Dancing on the Clouds" as we provided everything from custom monogram, wireless uplighting and a Inflatable Photo booth!